From "Prepared" Fo-ti Root! 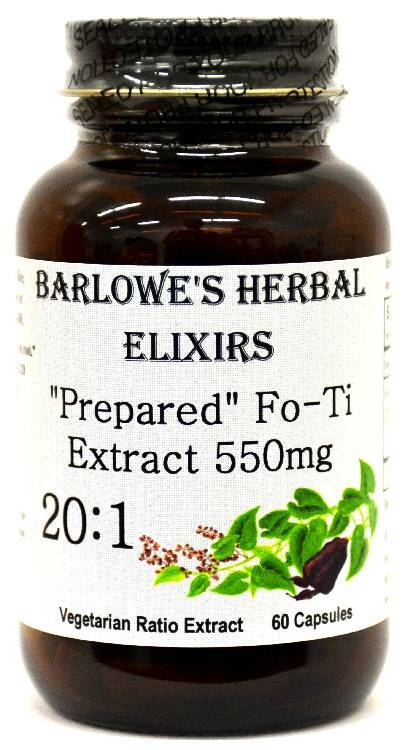 Barlowe's Herbal Elixirs proudly offers a potent 20:1 Fo-Ti (Radix Polygoni Multiflori) Extract from "Prepared" Fo-ti Root. The use of "Prepared" root results in an extract which is more effective. Twenty kilos of Fo-Ti root were utilized to produce one kilo of this powerful extract. Bottled in Glass! No Stearates! No Fillers! No Junk! From "Prepared" Fo-ti Root! 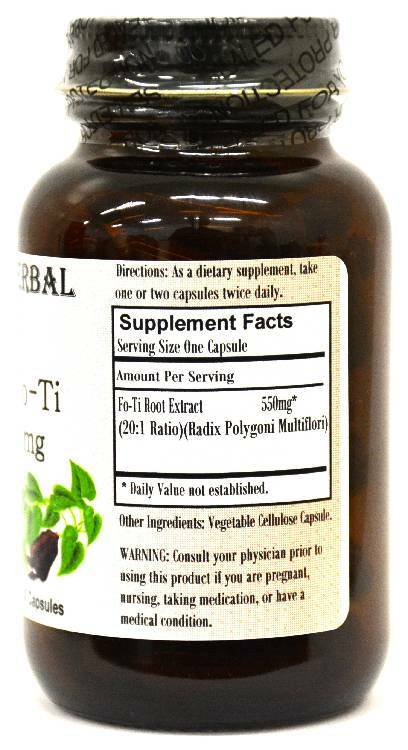 Barlowe's Herbal Elixirs proudly offers a potent 20:1 Fo-Ti (Radix Polygoni Multiflori) Extract. The use of "Prepared" root results in an extract which is more effective. Fo-Ti (he shou wu) is the premiere longevity herb in Traditional Chinese Medicine (TCM). Twenty kilos of "Prepared" Fo-Ti root were utilized to produce one kilo of this powerful extract. 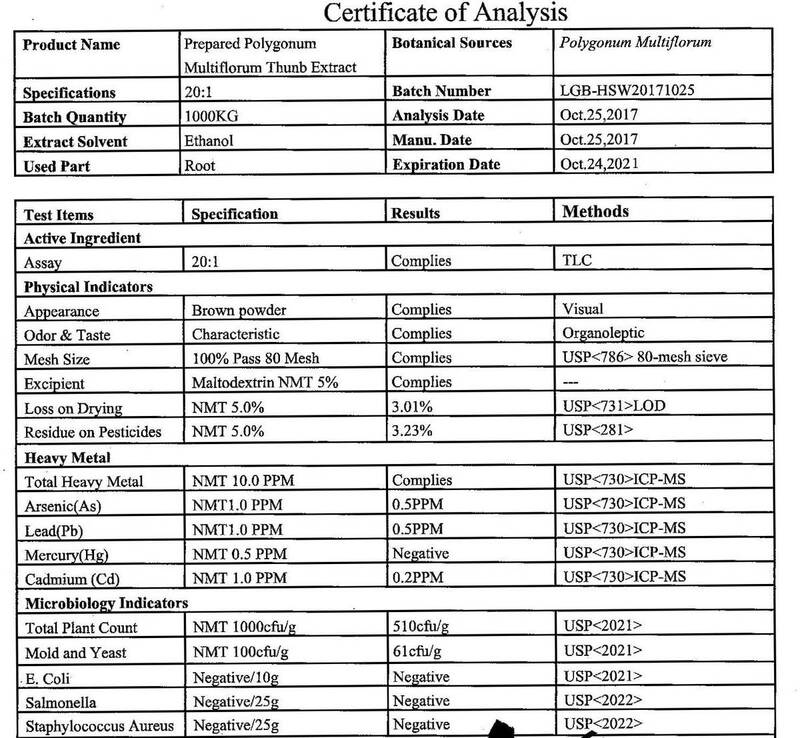 The Fo-Ti Certificate of Analysis (COA) for this particular batch is shown above. Bottled in Glass! No Stearates! No Fillers! No Junk! Fo-Ti has a long history of use in Chinese Traditional Medicine as a longevity tonic, to treat erectile dysfunction, to decrease discomfort of the liver and the kidney, and to keep the balance of a healthy human body. In China, Fo-Ti is called "He shou wu", which means "black-haired Mr. He". This name refers to a legend, written around 813 A.D. by LiAo, about an old villager named Mr. He who took Fo-Ti and restored his black hair, youthful appearance and vitality. As it was thought by ancient Chinese that "the luster of hair is dependent on the function of the kidney", Fo-Ti has been widely used in remedies both taken orally and externally to polish and blacken the hair. Bensky D, and Gamble A, Chinese Herbal Medicine: Materia Medica, 1993 rev. ed., Eastland Press, Seattle, WA; Huang Bingshan and Wang Yuxia, Thousand Formulas and Thousand Herbs of Traditional Chinese Medicine, vol. 1, 1993 Heilongjiang Education Press, Harbin. Fo Ti enhances immunity and acts as an anti-aging herb. Liu Zheng Cai, The Mystery of Longevity, 1990 Foreign Language Press, Beijing. It is widely used to nourish the blood, reproductive essence ('jing') and lubricative moisture ('yin') of the body. This 'moistening' approach is vital in many restorative or 'anti-aging' herbal combinations. In T.C.M., the brain, reproductive essence and bone marrow are all functions of the 'water element'. Fo-Ti has also been investigated to treat the premature graying of hair. Premature greying may arise from numerous causes. According to the English-Chinese Encyclopedia of Practical Traditional Chinese Medicine, premature greying is "mostly caused by deficiency of liver and kidney with subsequent failure of [blood to go up and nourish] the hair." Clinical tests have shown the effectiveness of Fo-Ti in treating premature greying. Chen Keji and Zhang Wenpeng, Advances on antiaging herbal medicines in China, Abstracts of Chinese Medicine 1987; 1(2): 309-330. Caution: Barlowe's Fo-Ti Extract is generally safe, but it is potent and should be utilized with care. Do not take if you are suffering from diarrhea, as fo-ti may cause loose stools. This product is for dietary use. If side-effects occur, discontinue use immediately! The above statements have not been evaluated by the Food and Drug Administration (FDA). This product is not intended to diagnose, treat, cure, or prevent any disease. Directions For Use: Take one capsule twice a day. Results and usage amounts may vary based on body type and weight.